Protea plants are a species of flower found on the shores of SA; this proudly South African flower is the national symbol of our fair country as well as the name of our cricket team and because we know just how much you love this stunning flower, NetFlorist has come to the party with awesome Protea flower arrangements and protea flower bouquets for you to buy and send online! 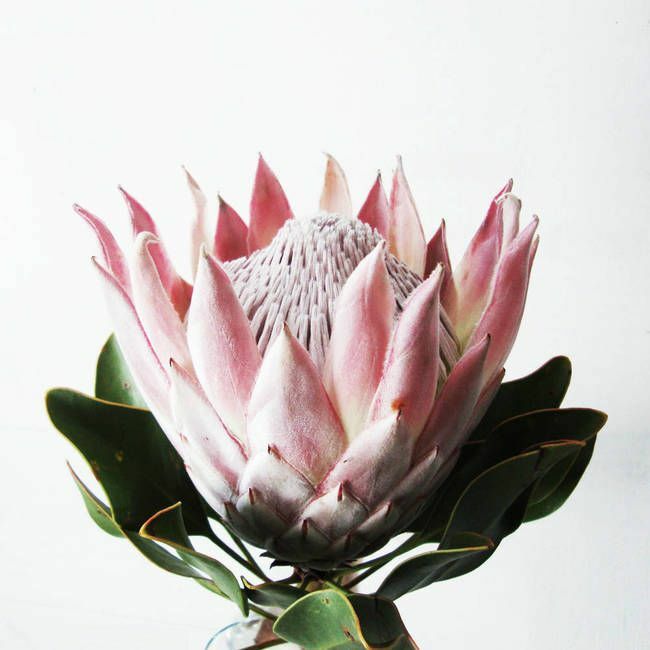 But here’s the thing proteas are awesome flowers and they are making a comeback as a super popular wedding flower and because I love this flower I thought I might share a few fun protea flower facts! Proteas are evergreen trees and shrubs and they grow mostly in dry regions of the southern hemisphere, especially in Australia and South Africa. The flowers of many species of proteas are pollinated by birds, bats, and small marsupial mammals. The protea flower family has two important adaptations to the dry habitats in which they grow. First, their leaves are thick and hard which prevents moisture loss and decreases damage. Second, their roots are clumped and very thin for efficient absorption of water and mineral nutrients. Because the protea flowers and plants occur naturally only in the southern hemisphere, it is believed that the family originated on the ancient supercontinent of Gondwana. Greek legend tells us that protea were named after Proteus, the son of Poseidon. The King Protea is the largest of all proteas and South Africa’s national flower, appearing on birth certificates, passports and the R5 coin. 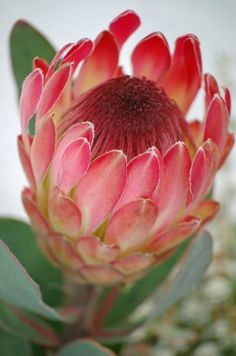 The protea bush is also called the sugar bush. The medical uses for Protea range from a cough syrup ingredient to clearing up chest disorders. The Sugar bush is a Symbol of the New Millenium. Proteas are also grown in New Zealand, Australia and Hawaii! Proteas are an exotic looking flower, that when given to your nearest and dearest, makes a statement. These flowers are known for their distinctive bulb shape and many have fluffy petal-type thingys which vary in colour from pinks to reds. Protea flowers are a low maintenance flower type and are easy to take care of whether you’re planting them in your garden or simply enjoying them freshly cut. Cut proteas have been known to last a good two or three weeks, although they should be kept in a cool spot so that they don’t dry out quickly. 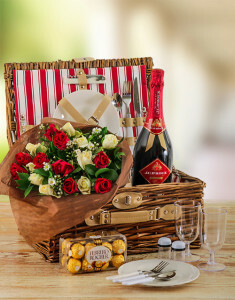 This means that the person that you’re spoiling can enjoy these stunning flowers for alooooong time! 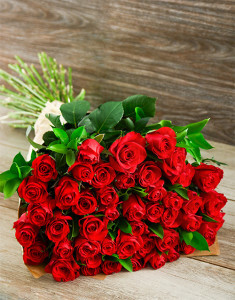 All you have to do to buy and send beautiful proteas nationwide in South Africa is log on to NetFlorist and with their same day, nationwide flower delivery we’ll get your protea flowers to your special person no matter where they are; from Cape Town to Kokstad, we’ll deliver your flowers to wherever they need to go. So what’s the hold up? Get sending those protea flowers online now!